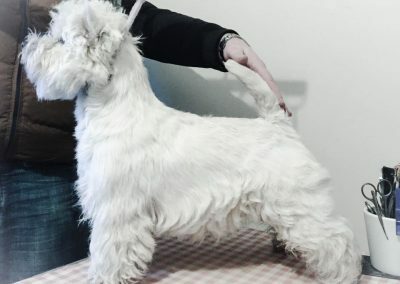 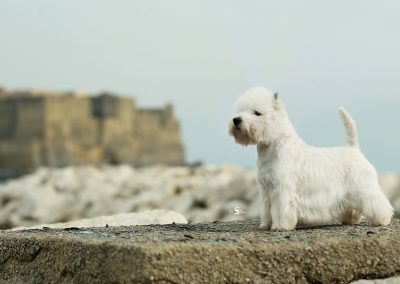 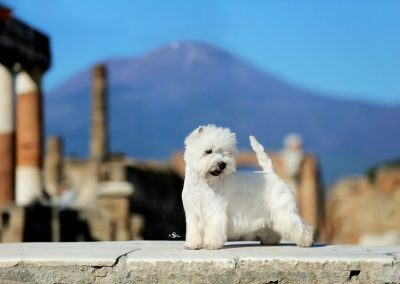 My westies belongs to a very fixed type: Strong and beautiful head, compact but functional body and a really wiry coat. 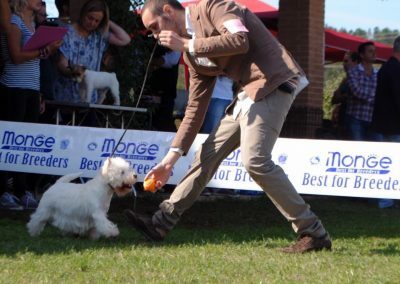 Dogs built so they excel in movment. 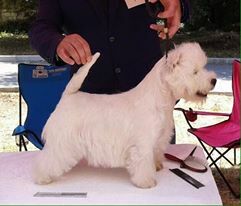 This the way i choose the dogs to breed. 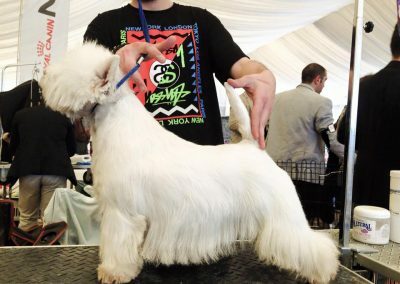 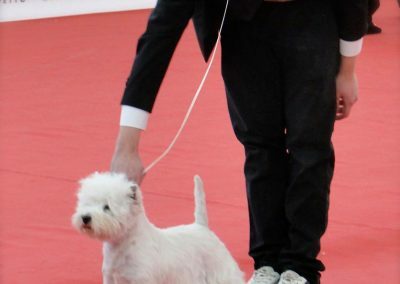 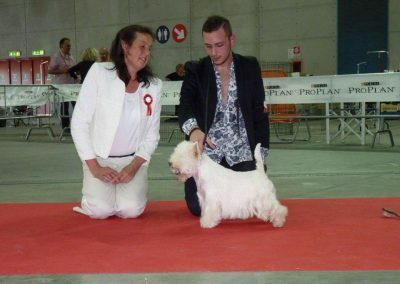 The typical westie is not only in the body costruction but especially in the typical terrier temperament. 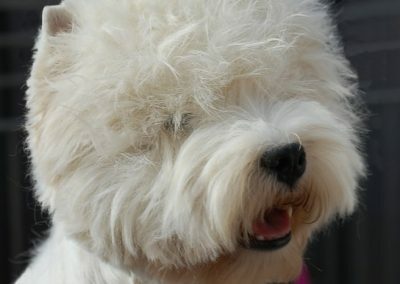 A well balanced dog full of energy, always ready to throw itself in any new experience with its own special enthusiasm.